Chelsea Pitcher Archives - Book.Blog.Bake. If this book depicts the “harsh reality of modern high schools” as the summary suggest, then I am incredibly afraid for the state of high schools in this country. I graduated four years ago, and while I do know that bullying and meanness is a HUGE problem in a lot of schools, the complicated plots and schemes that are contained within the pages of The S-Word are more fitting to television shows like Pretty Little Liars or Desperate Housewives. Entertaining? Yes. A fair portrayal of modern high school? No. There are a lot of subjects that are tackled in The S-Word that need to be tackled and discussed in contemporary YA like bullying, double standards, sexual assault, and discrimination. Unfortunately, The S-Word lacks the type of nuance to really probe these subjects to their full depths and in away that is benefiting to the reader. Instead, Angie encounters student after student who has a dark secret. She normally uses their secret to blackmail them for information, and then move on to her next victim. Angie, the main character, is. . . well, I don’t really know how to describe her. She does so many horrible things to people that at one point I really began wondering if she was capable of feeling anything, but then she becomes incredibly emotional. As someone who has grieved before I know that this pattern of emotional response isn’t uncommon, but it was still really hard to excuse Angie for some of the things she did. Her plans and mind just seemed so convoluted at times. There’s a specific instance towards the end of the novel where Angie comes up with this elaborate plan to expose someone’s horrible, awful misdeeds. I applaud her for doing so because the person needed to be caught, but the way she went about it seemed like it was quite possibly the riskiest way she could have done so. If her plan hadn’t worked, there was a chance that person wouldn’t be caught at all, and I really disliked that. As mentioned before, there’s a lot of issues present in The S-Word, and some of them are handled really well and some are brushed over. Angie, our unreliable narrator, can be quite a bully too, and while I think the book took steps in the right direction addressing this, it ultimately fell short. I also think it did a really terrible job at addressing self-harm. However, I did appreciate how the book approached the issue of sexual assault in high school. I thought it was much better done at really exploring all the different emotional aspects with care. If there’s one issue the book did a great job addressing, it’s that one(which is fitting, I suppose, due to the title). The highlight of this book for me was learning about Lizzie through the course of the book. Pages from her diary occasionally appear and sometimes Angie would flashback to conversations with her best friend. Even though I didn’t care about Angie on her own, I did enjoy seeing her friend through her eyes. Lizzie’s story shattered my heart and I just felt so much for her. I think her story was so often overshadowed by other character’s stories that I feel I missed out on really exploring what happened to her, but everything that was in the book was well-done. Final Impression: Overall, I was pretty disappointed in The S-Word. I thought the book lacked care with many of the issues it tried to tackle, and the plot seemed overly convoluted and unreasonable. The book’s best part was how it dealt with the issue of sexual abuse, the only issue I felt was well-handled in the book, and the glimpses of Lizzie through other character’s eyes. It wasn’t a “I hate this book” book, but it’s definitely a “meh” book. 2/5 stars. 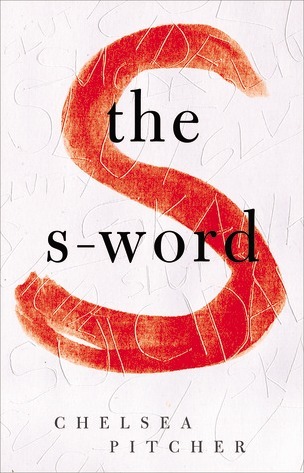 You can order The S-Word on Amazon or Barnes and Nobles.